People are much more concerned about the ingredients and their selection when looking out for a caterer. Catering industry in India has taken a new phase and is growing at a fast pace. Caterers who are creative and are staying current are definitely more profitable than any other businesses. The caterers these days are also need to be certain about what they are offering to their customers are not "Catering Outdate” as people are much more adventurous and knowledgeable about what they eat and what is being served. “I came back and started Caara 5 years back. We used to go to client saying that we are doing fresh, chemical free products. They were not bothered whether it was farm fresh and were looking for the typical menu. Today it has taken a 360 degree turn where our clients are so aware about the source of the produce, they love the way the vegetables, salad leaves are picked that morning and brought to their homes to cook in the evening for the event,” shares Ambica Seth, ED, Caara who believes that in today’s environment intolerance, allergies to food have to be taken care as regular SOPs in the business. People are much more concerned about the ingredients and their selection when looking out for a caterer and their source. Health has become a centre stage for diners who are much more aware about the benefits of local sustainable produce. “Hygiene has become an important aspect in the restaurant’s menu today. 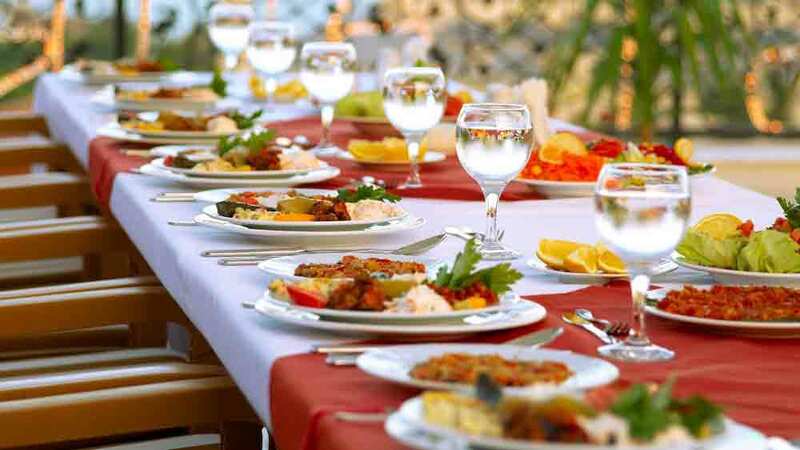 Catering has changed from standard menus to wider menus, health aspect has been taken care of, and people are willing to include global cuisine in the menu. Also, our chefs have become so adventurous with ingredients and presentations,” says Sameer Lamba, Owner, Kwals Group who is a 3rd-gen in the catering business and has catered to big events like Formula1 and IPL. Across India, kitchen is the last thing on anybody’s mind. And, this is outdoor’s catering biggest pain because even if you are catering at someone’s house the kitchen has been put somewhere which is inaccessible and you are struggling. It is on nobody’s mind how it should come out and how hygiene is an important factor. In the past years the trends have changed. You can see base kitchen being setup. “A lot has to change from corporate; Stadium and kitchen should be of the standard if we have to feed 10 thousand employees. Technology is coming inside the kitchen but we are still using decade old cooking method,” adds Lamba. Also, food industry is one of the industries which have the highest attrition rate and getting the right manpower is still a challenge. “Skill development is the main challenge and the only pain in the business. You will see a lot of new talent and people from another businesses move in but there is no training to groom the right skill set,” points Sanjay sharma of Elior India that feeds around 80 thousand to 1 lac customers daily.